Wavestore, the manufacturer of open platform video recording and management solutions, has announced that it has been presented with both the Queen’s Award for International Trade and the Queen’s Award for Innovation. Wavestore is reportedly one of only two businesses in 2015 to have won two Queen’s Awards for Enterprise. They are conferred annually by HM Queen Elizabeth II, on the advice of the Prime Minister, to organisations with outstanding performance in international trade, innovation and sustainable development. The winners were announced on 21st April, the birthday of Her Majesty The Queen. 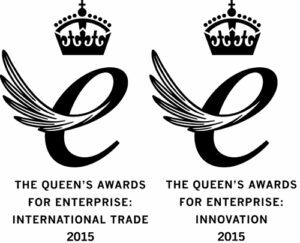 The Queen’s Award for Enterprise (International Trade) was won by Wavestore for achieving 323% growth in export earnings over the past three years.